I'm on a roll this weekend! 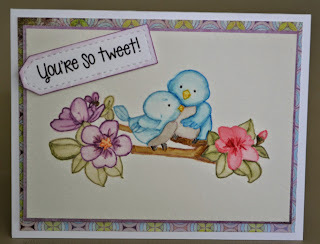 My next card is for the challenge at From the Heart Stamps. The bird images looked to me like they were begging to be watercolored. Since the image is a digital stamp, I printed it on regular paper and used a light colored watercolor pencil to trace the image. I did it the old fashioned way by taping both pieces of paper to a window! All of the coloring was done with Distress inks. Either markers or the mini ink pads and a brush. I really like the defined way the outlines turned out. It's certainly not my usual watercolor wash look! Check the challenge out! It goes until the end of the month. Sweet Card and your coloring looks great. So soft and pretty. 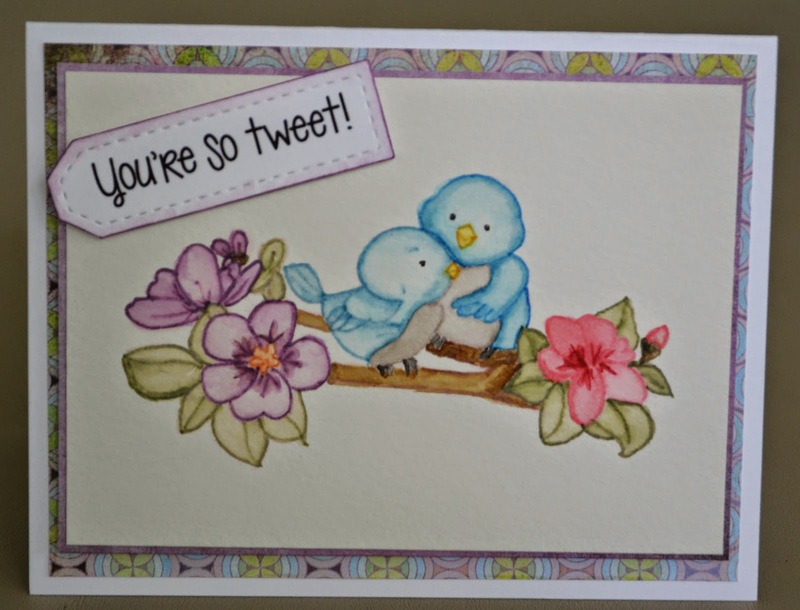 Thanks for joining our FREE Stamp of the Month May Challenge @ From the Heart Stamps ! !